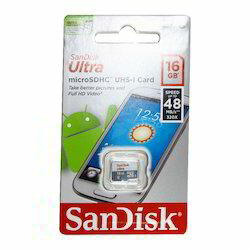 Wholesale Trader of a wide range of products which include sandisk microsdhc card, sandisk sdhc card and sandisk ultra microsdhc card. 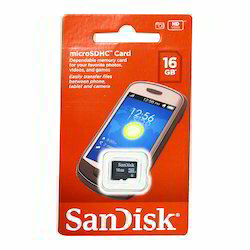 This SanDisk MicroSDHC Card is ideal for storing data and files in mobile phones or tablets. This SanDisk SDHC Card has a superior data transfer speed. This SanDisk SDHC Card is dependable and provides superior storage for images, files, videos and data. SanDisk’s large-capacity SDXC memory card is perfect for the latest high-megapixel SDXC format cameras and HD camcorders. Ultra durability tested waterproof, shock proof, x-ray proof and temperature proof#. 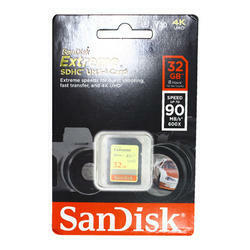 Thanks to this SanDisk Ultra microSDHC Card, storing and transferring images and video feeds are easy and hassle-free.